Pablo Picasso was the most dominant and influential artist of the first half of the twentieth century. This art lesson focuses on bold shapes, colorful patterns and delightful birds; and introduces students to the beauty of Picasso’ s paintings. It contains simple steps to follow, bright visuals for inspiration, and a beautiful gallery containing examples of students’ artwork. The playful expression that they put in their paintings makes me so giddy with excitement. brushstrokes and of course painted paper! “La Californie” where Picasso worked. The Pigeons can be seen in many of Picasso’s paintings. Here is the inspiration for our project. 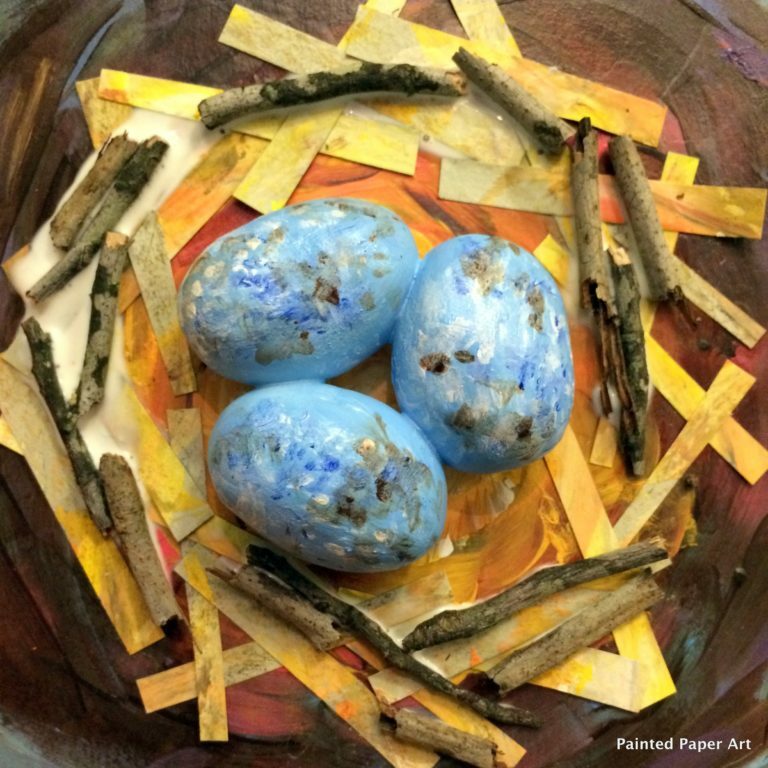 What more could you love than birds created by little 7 year old artists? Painted and paper birds with large brush strokes representing feathers complete this fun project. This 26 page pdf features an easy to follow art lesson, complete with full color photos. This lesson is great for ages 7-10 but any age student can create a beautiful art project using these directions. This lesson is designed so that every child will be a successful artist.